Today, I’m talking about one of my favorite Summer wardrobe staples, wide leg printed pants! I have quite a few in my closet currently and they’re are a MUST for any girl during Summer. 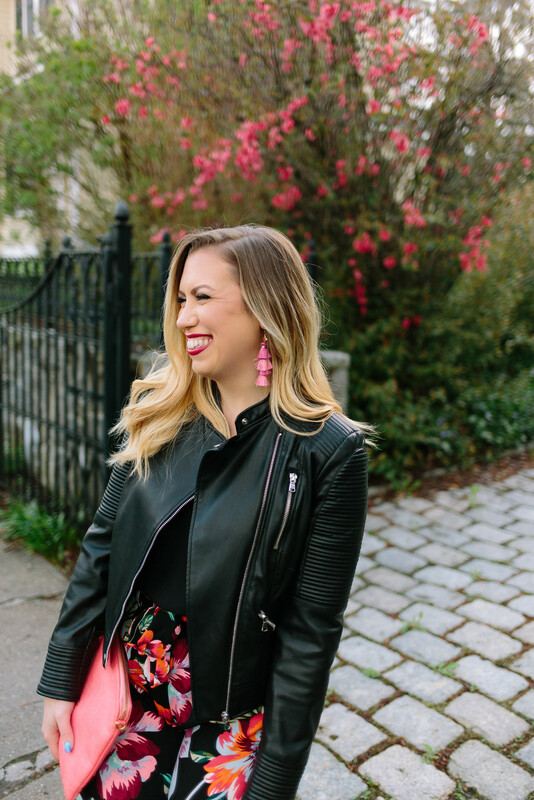 They are just about the most comfortable pants I own, essentially like wearing pajama pants, and now that they’re really on trend they’re available in so many varieties that are perfect for pretty much ANY occasion! I actually own a few different varieties of wide leg printed pants! First up is this floral pair that I’m sharing here that can be dressed up or dressed down! They are a little bit of a thicker, more structured material and have a bow tie waist so they can be worn with a great pair of heeled sandals and a dressy top for a more formal party like a bridal shower or baby shower, engagement party, birthday party or even a wedding! BUT because these pants have such a fun pattern they can most definitely be dressed down also! I plan on bringing them on vacation and wearing them with a crop top, they can even be work appropriate with a tailored button up, or even plain short sleeve top! I also highly suggest picking up a casual pair of wide leg printed pants like the pair I’m wearing in this outfit from 3 years ago. They’re super lightweight with an elastic waist and perfect for a casual summer outfit. I wore them over Memorial Day Weekend to an outdoor beer garden and got so many compliments! They can also double as a bathing suit cover-up and lounge pants…aka the couldn’t be more perfect! 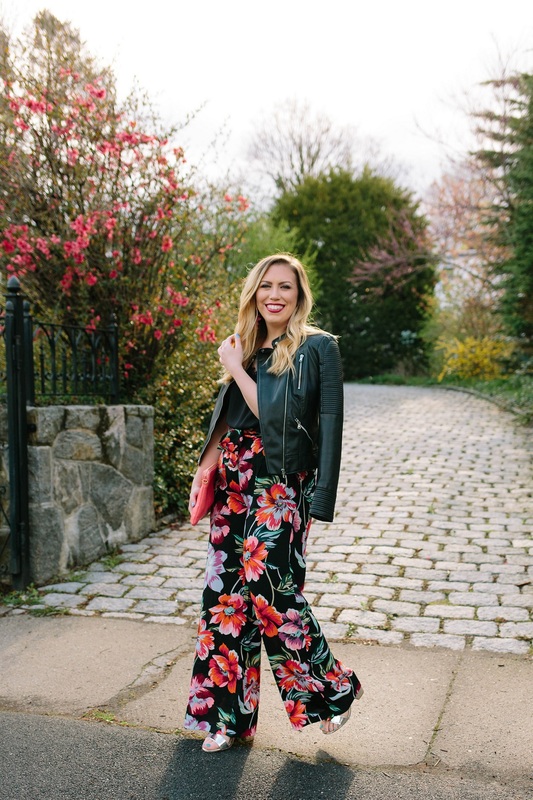 Another type of wide leg printed pants I’m coveting this year are cropped! Cropped wide leg pants are making a comeback and there are SO many good pairs on my favorites sites. I’m especially loving the look of linen striped pairs with a crisp white tee or tank! 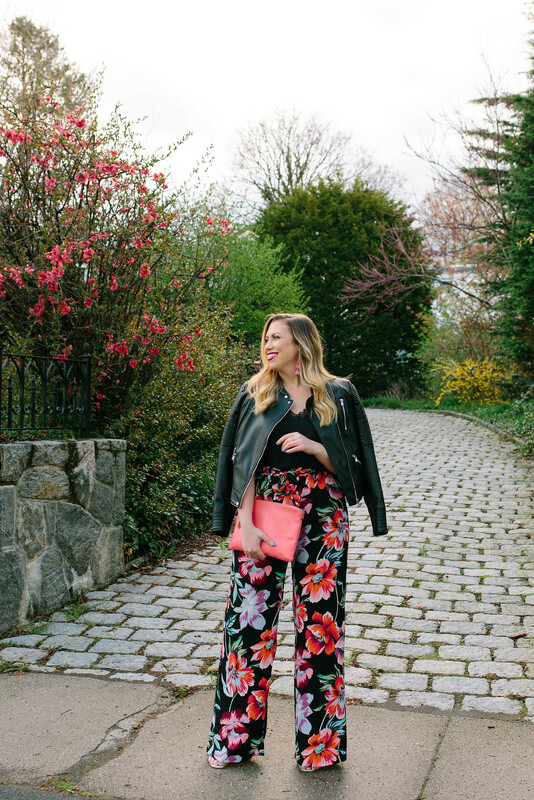 Of course these pants are THAT good that they’re already almost sold out, BUT don’t fret I’ve rounded up TONS more pairs of equally amazing wide leg printed pants all under $100.